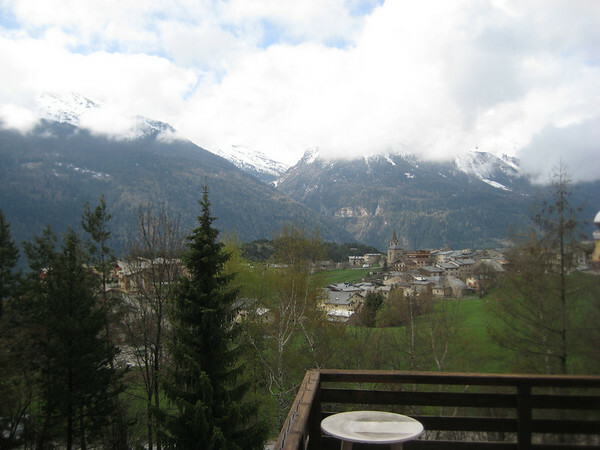 Joe So I'm in Aussois in the French Alps for a week, attending a class on constraint programming. It's being held at a sort of resorty place, which is run by something called the Comité d'Action et d'Entraide Sociales (the Action Comittee of Social Caring?) with vague official overtones. It's an odd sort of place, kind of a cross between a resort and the Bio Station at Pellston. It's hard to argue with the location though—and if it ever stops raining, I'll be sure to take advantage of that fact. In the meanwhile, I'm lamenting the fact that I didn't bring any cash with me, as several things I would consider essential services appear to be not only not free, but also cash only. I'm not talking about restrooms, mind you, but honestly: you can't put in a free pool table for the academics? Sigh. At least there's internet… most of the time. I've never been to France before, and while I knew this wouldn't exactly be a week on a traditional farm in Provence, I was hoping for some decent eats. So you can imagine my disappointment when today's lunch was simply the leftovers from last night's cold dinner, which wasn't that impressive the first time around. Knowing I needed something to tide me over until dinner, I filled up on cheese and bread, only to be asked 45 minutes later if I was ready now for the beef plate! Just finished dinner a while ago, and I'm now feeling much more confident as to the week's culinary prospects. That's all for now. I'll be sure to update if I manage to get outside ever.